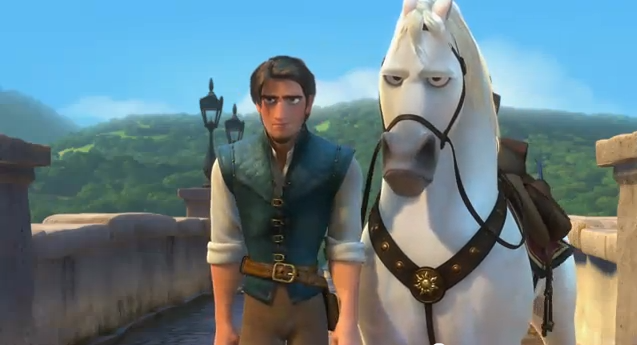 Maximus, the horse from TANGLED. 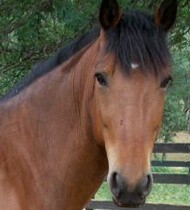 Anyway, the star of the show, in my opinion, is the fearless horse, Maximus! For me, he stole the show every time he was on screen. I just loved his expressions! If you think about it, this animated horse had to be understood without words… only his expressions and actions were available for the animators to articulate his motivations and feelings. Tough job! But they did it VERY WELL. Max refusing to shake hands. What is totally delightful to me is that Maximus doesn’t exist. He is drawn. Yet he feels like someone you’d like to know. I love that! So, I decided to go on a quest to find out who developed this character and who drew him. I had some luck… I mean, I found out the lead animator (Glen Keane), I found the animator that drew the major character details on Maximus (Jin Kim) and another animator who worked on Maximus (Marc Smith), but none of them went into detail about the concept, inception and fruition of Maximus. Or, at least I couldn’t find it. I wanted to know how they landed upon his character. I wanted to know if they went down one path and then decided to revert down another. 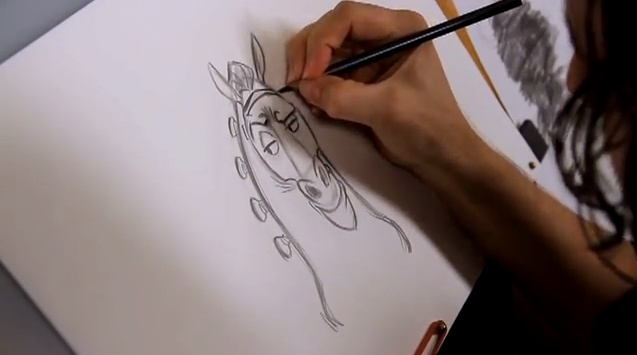 I wondered if the animators studied a real horse to get the movements down… How did Maximus become Maximus? Nope. I came up dry. But, I did find out some tidbits which I will post here. 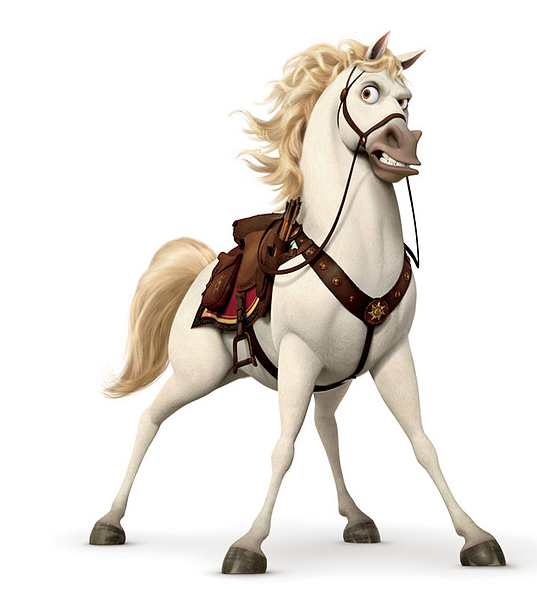 There is in Tangled one character that exemplifies the potential of a more advanced kind of CGI: the horse Maximus. He is a furiously eccentric character, as much bloodhound as horse, commanding the screen whenever he appears on it in his manic pursuit of Flynn Rider. 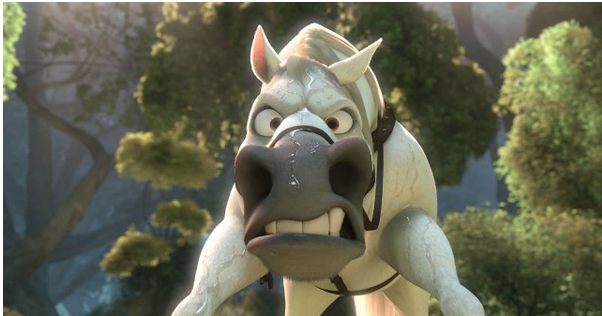 The Disney character designer Jin Kim described him: “The horse has a big, thick neck, and powerful shoulders, and then these great expressions. 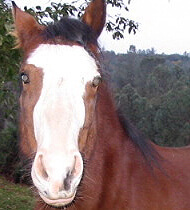 … This horse is based on the Andalusian, that Spanish breed. 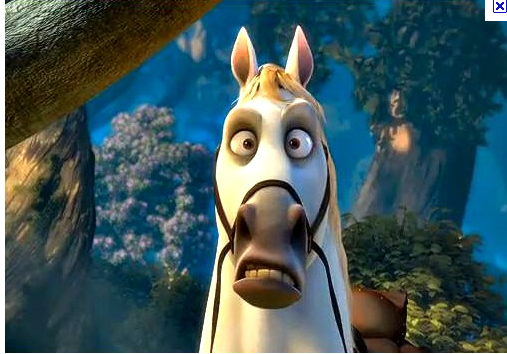 That horse has a kind of a unique posture, very upright, a straight neck, like a chess piece.” Maximus is unmistakably a cartoon character, but one designed and animated with a subtlety and precision alien to those animators and fans who confuse “cartoon” with “broad and sloppy”. The ‘wiki’ of most businesses is the online forum encyclopedia (like wikipedia) where employees can create and maintain information about the company and the company procedures – or whatever they want. 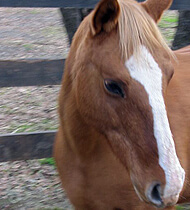 Maximus is a large white horse with a blonde mane and tail. 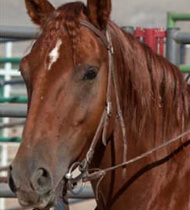 He wears a distinct saddle with the famous sun symbol. 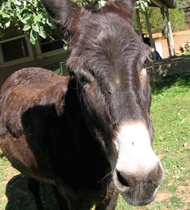 Maximus is described as a dedicated character who will stop at nothing to take down the criminal he is after. Maximus is brave, daring, bold and not at all cowardly even being more feared than his captain. 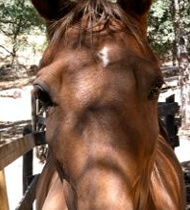 Maximus is a horse but has a personality more similar to a dog. 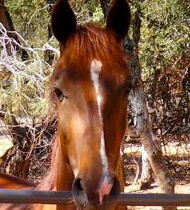 The character was to be a twist on common Disney horse sidekicks such as Samson. Although Maximus can be extremely tough, he has a large heart and even becomes best friends with his former arch enemy Flynn Ryder as they join together to reunite Rapunzel with her family. As horse to the captain of the guard, Maximus has made it his own personal mission to capture the wanted criminal, Flynn Ryder. He is Flynn’s adversary from the very beginning and will stop at nothing to catch the slippery thief. 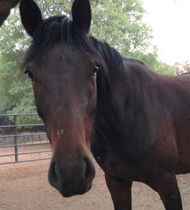 Max can run, leap, and chase Flynn to places where every other guard (and horse) refuse to go. Maximus is introduced in pursuit of Flynn, with the rest of the Royal Guard, after Flynn took the tiara of the Lost Princess. Flynn manages to ditch the guards and temporarily shake Maximus by hiding in Rapunzel’s Tower, but Maximus remains on Flynn’s trail, and eventually runs into Mother Gothel (which inadvertently causes her to panic and run back to the tower, fearing that they found Rapunzel). Maximus reunites with The Royal Guard in the Snuggly Duckling, and helps them find the tunnel that Rapunzel and Flynn escaped from. 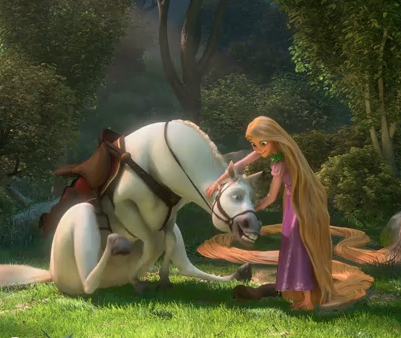 After tracking Flynn to a dam, Maximus accidentally causes the dam to burst, enabling Flynn to escape with Rapunzel. The next morning, Maximus tracks down Flynn again, and attempts to drag him back to the palace, but Rapunzel is able to befriend Maximus by being kind to him, and convinces him to call a truce with Flynn for the day for the sake of her birthday. Maximus unhappily agrees, and the group head to the Kingdom for the Lantern Festival. As the Festival day continues, Maximus notices Flynn’s emerging feelings for Rapunzel, and loosens up a bit while watching Flynn and Rapunzel dance. During the Lantern ceremony, Maximus remains on the dock eating apples. 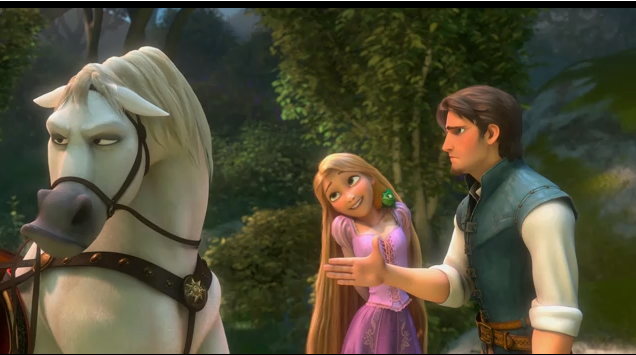 Afterward, Maximus witnesses Flynn being arrested and crying out Rapunzel’s name. 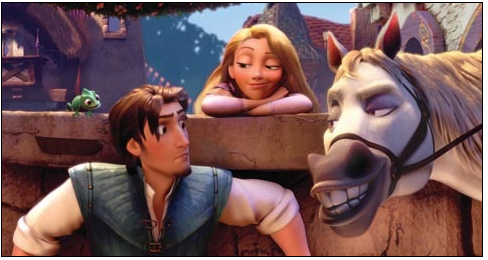 Maximus gathers that Rapunzel is in trouble, and knows that Flynn is probably the only one who can save her. Maximus heads to the Snuggly Duckling and recruits the Ruffians to help spring Flynn from jail. Maximus then carries Flynn to Rapunzel’s tower for her rescue. After Flynn returns Rapunzel to the King and Queen, Maximus becomes head of the Royal Guard. 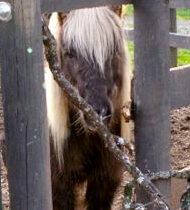 Maximus will appear in the short as he is seen on the promotional poster. It is all in the eyes! So far in the Disney Parks, Maxmus has only appeared in the 2010 Disney Parks Christmas Day Parade walking Rapunzel in the parade with Flynn by his side. Maximus was said to be Rapunzel and Flynn’s transportation to Magic Kingdom from Epcot during their Meet n Greets. 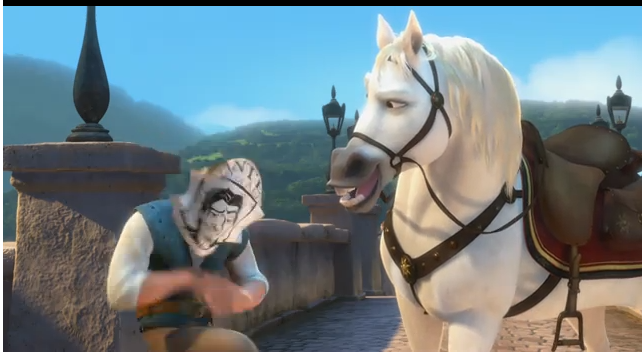 Maximus was first seen battling Flynn Rider with the guards and the only one that didn’t flee. Maximus is then seen in the Snuggly Duckling and helps the captain locate Flynn and Rapunzel. Later he was seen reforming with Rapunzel. At the finale of the show, Maximus arrived with Rapunzel and Flynn as well as a cast of Disney characters. I also found an article in a Korean newspaper about the lead animator, Jin Kim. 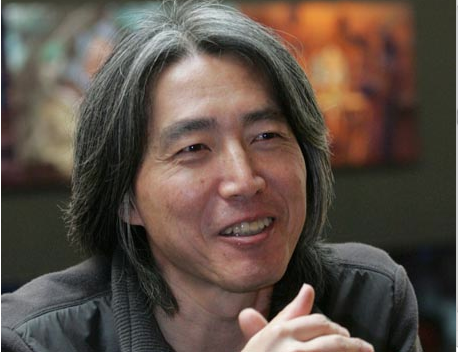 Kim Sang-jin – known as Jin Kim in the U.S. – is a Korean animator and character designer at Disney. He worked on “Tangled” for the past five years. The film will be released in Korea on Feb. 10. Kim Sang-jin, who is known as Jin Kim in the U.S., is a Korean animator and character designer at Disney Studios who most recently worked on “Tangled”. The global hit will be released in Korea theaters on Feb. 10. 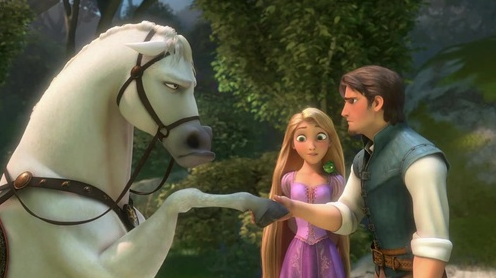 According to Box Office Mojo, worldwide box office for “Tangled” as of Jan. 30 was some $444 million. Kim was recently featured with an interview in The JoongAng Daily of Korea, and explained that he has been at Disney for 15 years. His advice to anyone with dreams of becoming an animator is to develop creativity as well as artistic abilities. And, as to the future? Kim tells the newspaper that he wants to create an animated feature film he can call his own, and adds that he has “a particular interest in history – especially Korean history”. I found this video on how to draw Maximus. I love how he wears all his tack all the time and nothing gets tangled or wrecked! Click to watch the the trailer! 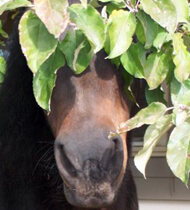 I want a horse like Max. 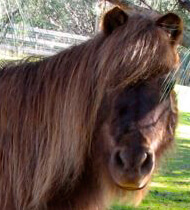 I know he doesn’t exist and therefore I know that any horse like him probably doesn’t exist either. Max is brave, sure footed, funny, strong, handsome, healthy, pure of heart, a bit cagey, wise, playful and a champion of all things good. I bet if you saw the movie, you would see bits of your horse in Max, too. 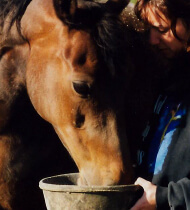 Max enjoying a good scratch – the way to any horse’s heart! 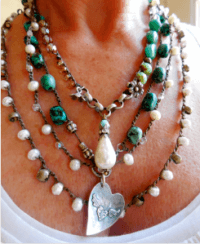 To help little HOPE, click here. 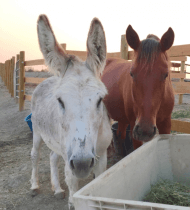 Horses Saving Human Lives?! Horse Heros. Uh Oh. Now I’ve done it! 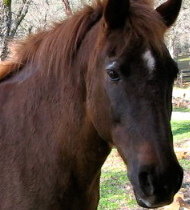 Meet Poco Rojo, my new Prisoner Trained Mustang!! 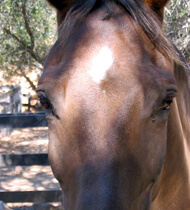 I actually just met the horse yesterday that the Disney animators studied to create Maximus! And yes, the real horse is truly this fun and crazy. He acts tough, but he’s a real softy! 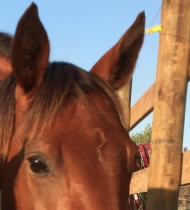 He’s the most animated horse I have ever seen in real life. haha, nope you’re wrong, I DID see that movie and I TOTALLY agree that the horse stole the show. 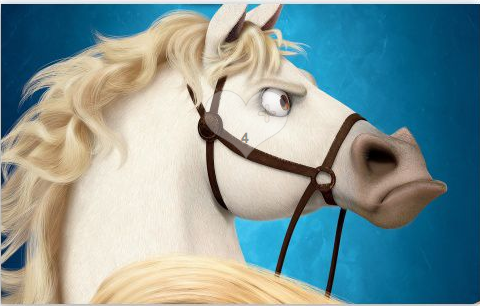 Even as an adult, I enjoy cartoons and was mildly disappointed with the movie but as we left the theater, I told my boyfriend that the horse saved the show! Cool story and many times the “quiet” characters are the most spoken and steals the show. It does remind of the tv show Sabrina the Teenage witch where Salem I think was the best character on the show and had better lines than the main characters…which was interesting since Salem was a cat puppet and had the least amount of lines.